Conor McGregor and Khabib Nurmagomedov will be tentatively suspended for at least 10 days on Monday for their part in a brawl that occurred inside and outside the Octagon in their Saturday fight, Nevada Athletic Commission executive director Bob Bennett announced Thursday. The decision comes five days after UFC 229 in Las Vegas when Nurmagomedov defeated McGregor via fourth-round submission and then went into the crowd in an attempt to fight members of McGregor's team. McGregor also left the cage and threw a punch at a person affiliated with Nurmagomedov. A hearing is slated for Oct. 24. The commission will vote at that time whether the two should be indefinitely suspended pending results of the investigation. According to Bennett, Nurmagomedov's $2 million payday for the fight is being withheld by the commission, pending the completion of the investigation. McGregor received his $3 million. "You can keep my money that you are withholding," Nurmagomedov posted on his Instagram account. "... I hope it won't get stuck in your throat." Nurmagomedov (27-0) could be in danger of losing his lightweight title after beating McGregor (21-4). UFC president Dana White has indicated the entity may strip Nurmagomedov of the belt. 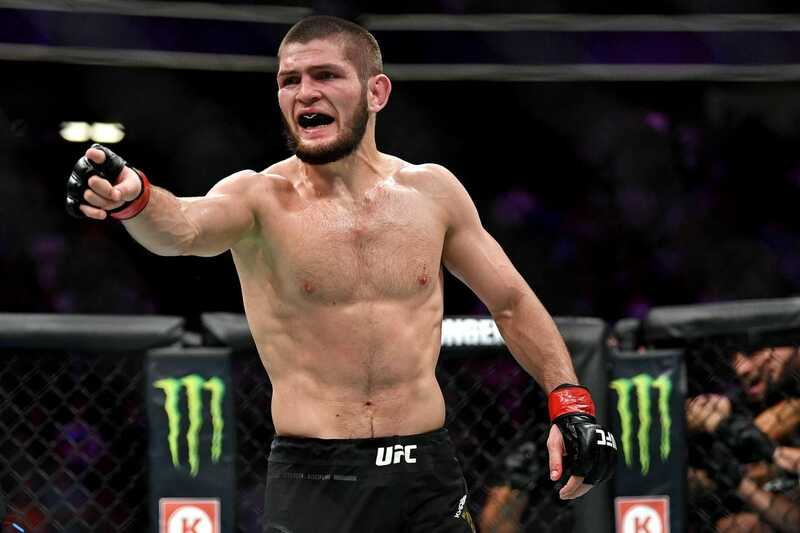 Meanwhile, Nurmagomedov's teammate, Zubaira Tukhugov, reportedly has had his next fight canceled following his role in the brawl that ensued after the Nurmagomedov-McGregor fight. That didn't sit well with Nurmagomedov. "I would like to address @ufc," Nurmagomedov said on Instagram. "Why didn't you fire anyone when their team attacked the bus (at UFC 223's media day) and injured a couple people? They could have killed someone there, why no one says anything about insulting my homeland, religion, nation, family? "Why do you have to punish my team, when both teams fought. If you say that I started it, then I do not agree, I finished what he had started. In any case, punish me, (Tukhugov) has nothing to do with that. "If you think that I'll keep silent then you are mistaken. You canceled Zubaira's fight and you want to dismiss him just because he hit Conor. But don't forget that it was Conor who had hit my another Brother FIRST, just check the video. Tukhugov (18-4), a featherweight, was set to fight McGregor teammate Artem Lobov later this month. Tukhugov and McGregor had a brief exchange in the ring during the fracas that ensued after UFC 229.